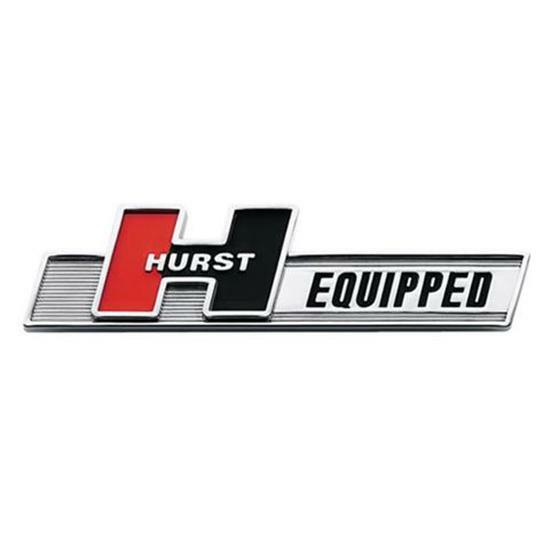 Based on original Hurst blueprints, this Hurst Equipped emblem is an authentic reproduction of the one used on the late 60's muscle cars equipped with a factory Hurst shifter. Made of durable ABS plastic with 3M adhesive tape backing for permanent mounting. Normal size is 1-1/4" high by 5-1/4" long. Individually packaged.